SSD’s or Solid State Drives are starting to become reasonable in regards to cost so more and more people are going to be looking at them for every day use on their computer systems. Last year I installed an SSD in my ASUS Netbook and it has performed great and I am very pleased with it. You can read about that experience here – Upgrading to a Solid State Drive (SSD) on my ASUS Eee PC 1000HE. I recently decided to make that same move on my desktop with one additional accommodation. I am going to use the SSD as the boot drive for Windows 7 and then use a SATA II standard hard drive as a storage location by placing all of my documents, videos, pictures, downloads, etc. on it to save space on the SSD. I even moved the temporary directories used by Windows to that drive to keep them from building up on the SSD. The purpose of this post is to show you the process of getting to this configuration. 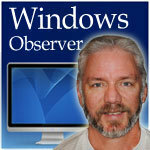 Windows Observer ssd, Windows 7, Windows Observer. permalink. I have an Acer E500 running windows XP home. I recently installed Linux Ubuntu onto the spare partition, but everything was OK for a few days. The computer will not boot XP at all, all I get is the recovery window for XP the start windows normally or start in safe mode or whatever. I have tried everything to boot into it but cant, it will not even start windows in safe mode. It will boot Linux no problem at all. Now I am totally stuck, how do I manage to boot into XP. And worse of all there was a recent update of Ubuntu 11.4 to 10.2 or something and I find it even harder to find my way about this system. I have tried to download programs to help with the boot loader or whatever but I cant even open any programs in Linux, and how can you delete an operating system you are running. If you can help you will help make an old man very happy.